With our Eco-Friendly Refillable Cartridge, you no longer have to purchase a new cartridge every time the filament runs out.Instead, you can purchase our Refill Filaments at a much lower price.To refill, simply replace the spool and the chip inside the cartridge (The spool can be replaced with any color or material of your choice).With continued use of the Refill Filaments, the cartridge's rubber roller may wear out. In such a case, please purchase a new Refillable Cartridge. 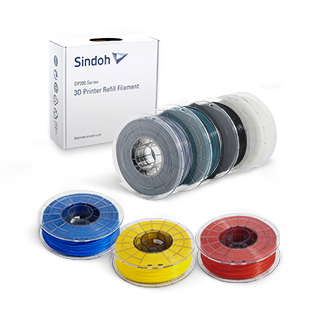 ◆ Note: Only filaments that are certified by Sindoh can be used.